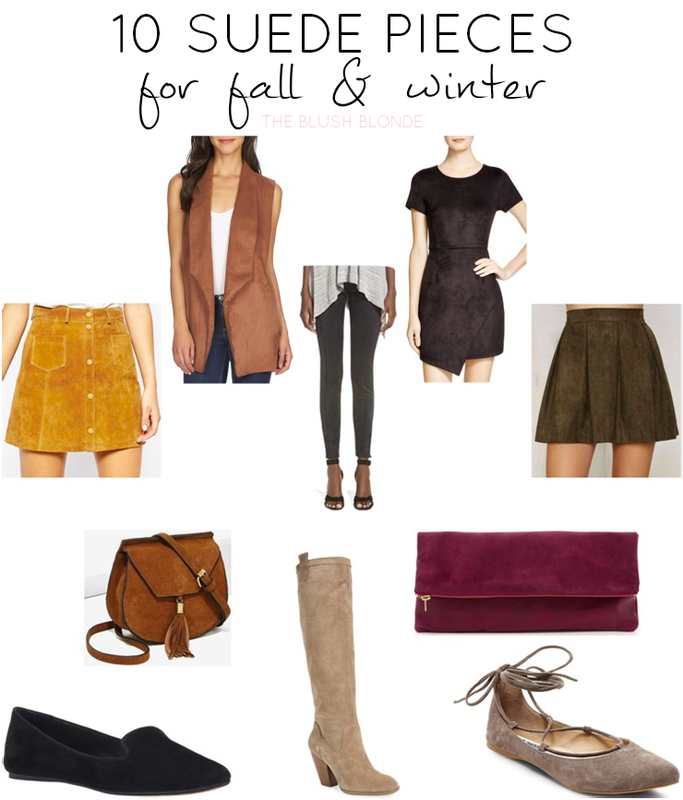 Suede has been a huge trend for fall and I definitely think it is here to stay for winter. It's a trend that I'm loving and am glad to see it sticking around. 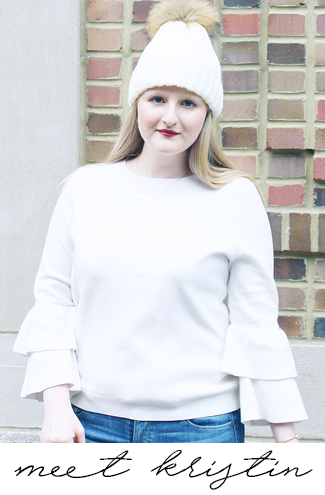 My favorite way to wear suede is the super popular button front suede skirt like this one, it's been seen everywhere this fall from fashion bloggers to celebrities and is a great piece for cooler weather. If you're not feeling a suede skirt there are a lot of options to work a little suede into your wardrobe, for a small touch try suede shoes, boots, or a handbag, and if you're looking for a little more give suede leggings, vests, and dresses a try. No matter how you choose to I definitely recommend add a little suede into your closet right now. Pictured here are some of my favorite picks! I am loving the suede skirts you linked! So perfect for fall! Thank you for hosting another fun hop. Loving these suede pieces! The vest and lace up flats are my favvvvorite! I never would have thought that I would hop on the suede train, but honestly I am obsessed. You found such great pieces! Thanks for hosting this linkup! I need that maroon clutch!!! Gorgeous! I'm currently looking for some suede boots. I love the pair you linked! I bought black suede boots at the beginning of the fall and I am so excited that the weather has started to cool down enough so that I can finally work them into an outfit! I love the look of the suede leggings! I completely adore the suede trend. Suede boots, suede flats, suede skirts...I want them all! Those lace up shoes are gorgeous! Great picks! I love the lace-up flats. Thanks for the link-up, Kristin!